I had hoped to go on a sea kayak trip today, a new experience for me. However, the sea has got up and the tour operators have said that it is not going to possible until next week. 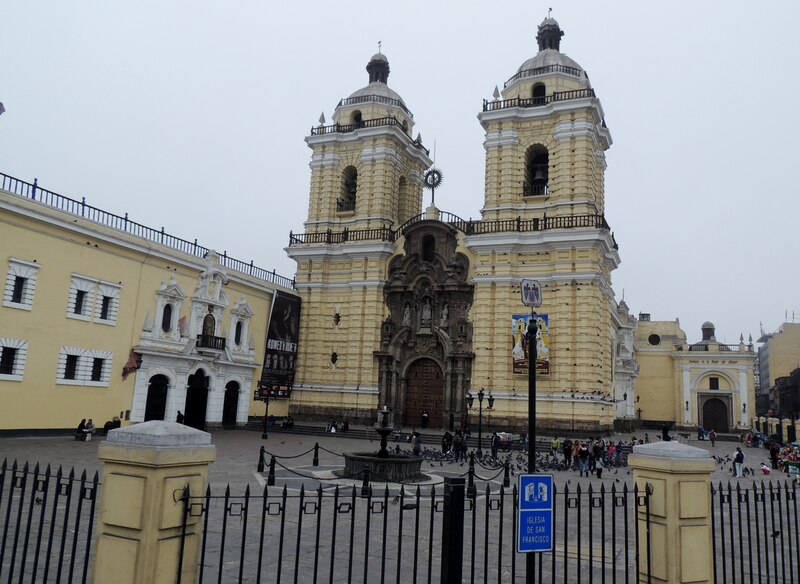 I am happy that they are safety conscious, being a novice, and so I decided to take the bus tour of Lima. It was probably the coldest day of the two weeks I have been here and there was a hint of rain but I had to do something. So, onto the big red bus. It cost 65 Nuevo Soles, which is about £15, I think. Probably average for this sort of tour,(I chose the basic one although they do a variety). 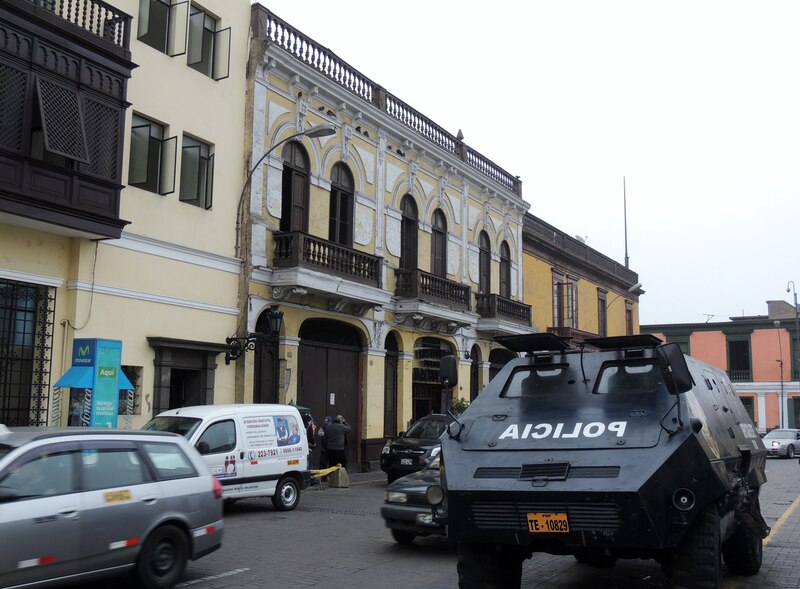 It departed from Kennedy Park which is in the main part of Miraflores close to the City Hall . The first stop was, Huaca Pucllana, which I visited last week. 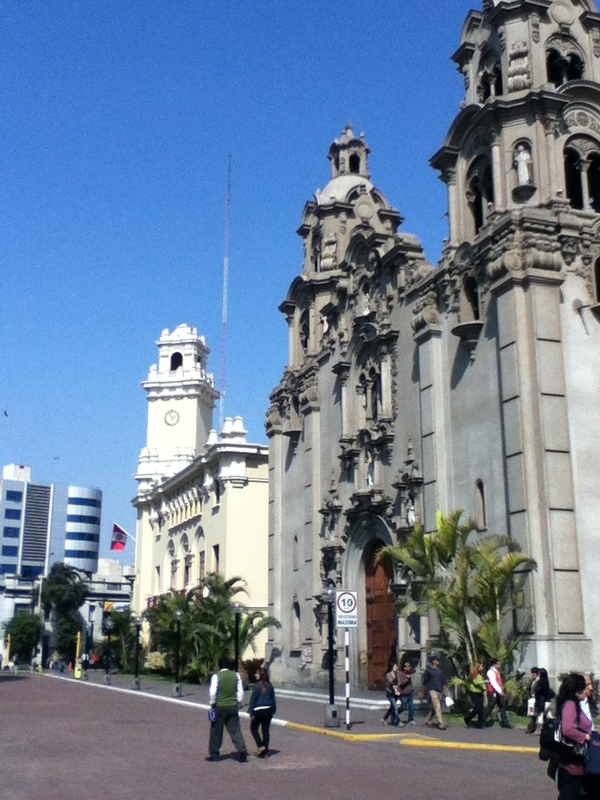 From there we headed through the suburbs to central Lima where there is quite a mixture of old and new architecture. The streets were filled with traffic, giving an opportunity to take in the views. Some of the older properties are well maintained, others need more than a lick of paint. The highlight of the tour was San Francisco church and monastery, including a walk through the catacombs. Unfortunately, photography was banned inside the building and as you can see, this rule is rigidly enforced. The monastery contains many works of religious art and has magnificent carved ceilings. 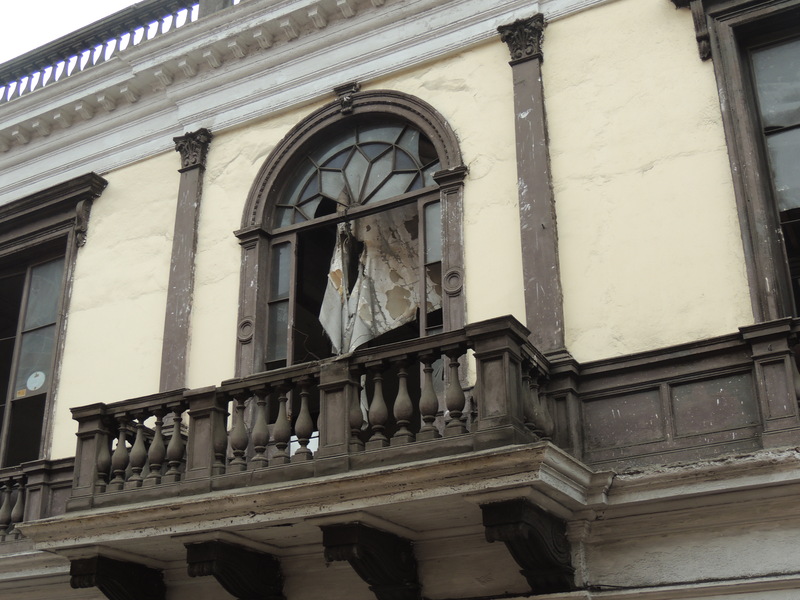 It also contains a library of more than 25,000 books many of which are centuries old. The catacombs contain the bones of some 70,000 people who were buried there. The bones have been dug up and stacked in neat piles according to which part of the body they belonged. View from outside the monastery. 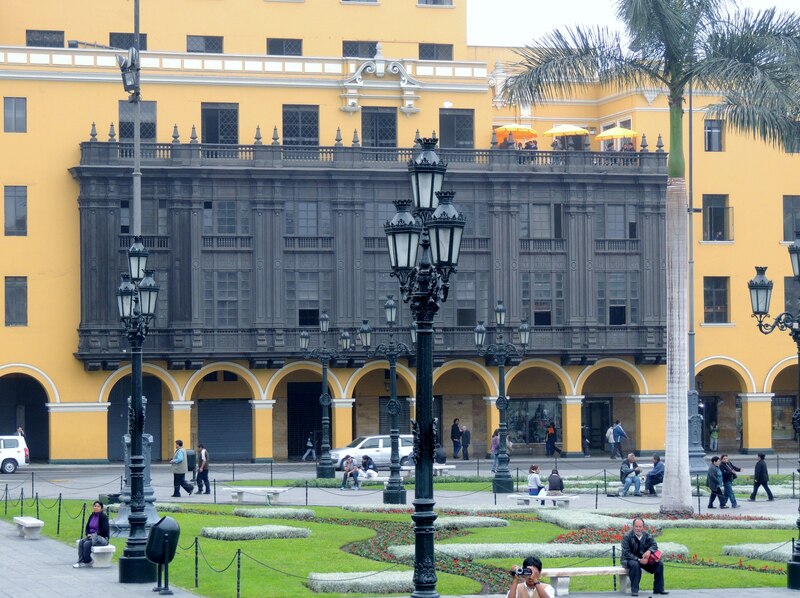 This entry was posted in Recent Activity and tagged Bus tour, Huaca Pucllana, Kennedy Park, Lima, Miraflores, Religios Art, South America. Bookmark the permalink.